There are so many great beach and sun holidays in our Real Deals this week – well, as soon as spring arrives we’re all thinking about our summer holiday aren’t we? Forget waiting until the summer is nearly over to get a great deal, get a jump-start on your tan and the holiday season with this offer from lowcostholidays. 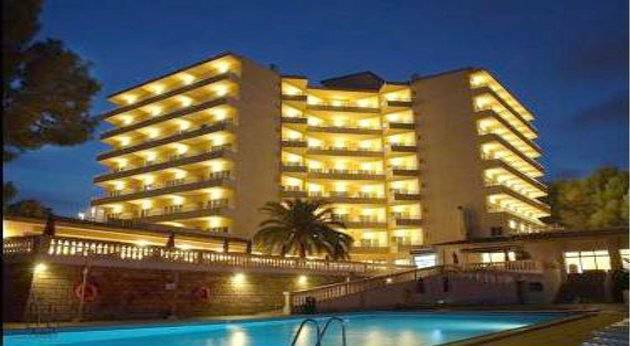 Spend seven nights all inclusive in Magaluf, travelling on selected dates in May. And the price? £279 including flights! Known for its party atmosphere, Magaluf is also a great place to get a cheap holiday as there are a plenty of cheap restaurants and fun ways to spend the day. With this offer you’ll be staying at the three-star Marina Pax Hotel, which is just away from the heart of the resort so you can make your holiday as rowdy or relaxing as you like. The hotel is set up on the cliff side so you get great views out to sea and it’s just a short walk from the beach. There’s four pools – including a kids pool – with sunbeds so you can sunbathe and relax without venturing far at all. You’ll dine at the buffet restaurant and with snack bars on hand too you’ll never go hungry. More importantly, there are several bars as well to keep you refreshed! You won’t want to miss out on a day at Aqualand Magaluf, or try some of the watersports on offer like the banana boat! Explore the nearby shops, bars and restaurants, or venture a little further to the legendary nightlife at The Strip and BCM Square where you can party til the sun comes up, drink your own weight in tequila (not advised) and wake up with popcorn in your shoes! Not quite what you’re after? Use our Holiday Price Checker to tailor-make your own bargain in the sun.